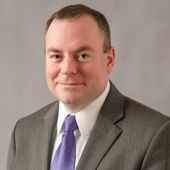 Scott McCarver, Associate Operating Office for Vanderbilt University Adult Hospital and Clinics, has been named Chief Operating Officer (COO) for the Vanderbilt University Adult Hospital. As COO, McCarver is responsible for providing operational oversight of professional and ambulatory departments, clinical service lines and the Patient Care Centers and Institutes residing within the adult inpatient enterprise. “Scott’s experience and leadership style make him an ideal fit to serve as the adult hospital Chief Operating Officer. He brings a relentless focus on our people, service, and quality while understanding the need to drive financial performance that supports our entire mission. He believes in establishing strong partnerships with faculty and staff as a foundation to making progress within a hospital environment. We are fortunate to have an outstanding team of leaders within the adult clinical enterprise, and we welcome Scott into this role,” said Mitch Edgeworth, MBA, CEO of Vanderbilt University Adult Hospital and Clinics. Prior to coming to Vanderbilt McCarver was employed by Duke Regional Hospital, most recently serving as vice president of Operations. “I want to welcome Scott into this new role. His prior experience and the contributions he has made since joining our leadership team demonstrate the ability to bring a results-oriented approach in a manner that supports the mission and vision of our health system,” said C. Wright Pinson, MBA, M.D., Deputy CEO and Chief Health System Officer for VUMC. McCarver, who earned a bachelor’s degree in engineering from Mississippi State University and a Master of Health Administration from Pfeiffer University, is married to Catherine McCarver, Associate Operating Officer for Vanderbilt Heart and Vascular Institute (VHVI). They have a daughter, Caroline.